“Step on it, T-Bone!” he cried. “I am!” said T-Bone, pushing the jet’s power to the max. This successfully put some distance between them and the monster, the creature roaring in pain as it got a face full of the Turbokat’s flaming jet exhaust. “Yeah, eat afterburner!” T-Bone yelled. But, this only deterred the creature for a few moments before it recovered and resumed its pursuit. There was no way it could catch them now, but there was still plenty of damage it could do and plenty of lives it could take, all while its slithery creator was doing who knew what to Callie back at Megakat Biochemical. 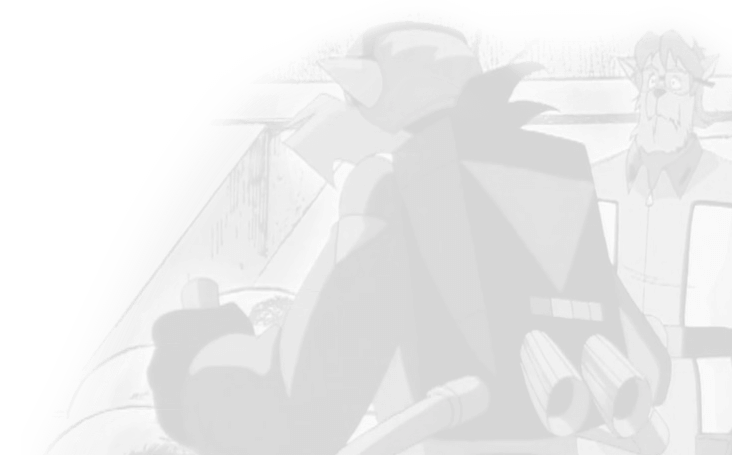 Knowing Dr. Viper was behind the monsters – whatever they were, as the SWAT Kats had not been privy to Dr. Zyme’s identification of them – was revelatory but not exactly helpful to them. At least not to T-Bone. Given time, Razor could probably come up with a few theories about the things’ origins and make up and figure out a means of killing this last monster based on that information, but time was something they didn’t have. Lives were hanging in the balance. The longer the final monster lived, the more people it endangered… and the more time it bought for Dr. Viper to escape with Callie and Zyme as his prisoners. Just the thought of Callie in Dr. Viper’s slimy coils filled T-Bone with rage, and he gritted his teeth as he wracked his brain, trying to think of a way to kill this final creature so he could return to Megakat Biochemical and make Viper eat his fist. It was best, he knew, to go with what they knew worked. Heat and electricity. The Turbokat’s afterburners had certainly hurt it, but the amount of jet fuel they’d need to cook a walking pile of slime that was growing increasingly taller than the buildings it was knocking down was more than the Turbokat could carry. That left electricity. T-Bone glanced over at some powerlines leading towards a power substation. The Megavolt Missile had done well for the two-eyed creature a few minutes ago, and from what Razor had told him about what had happened in the subway, so had the subway tracks’ third rail. He grinned. An idea was forming. “I’ve got an idea!” he said. “I’m all ears!” said Razor. “I’m gonna wing it just like you said,” T-Bone said, his grin broadening, amused at his own joke. Razor didn’t get it. T-Bone pointed, and he glanced over, following T-Bone’s pointing finger. He still didn’t understand what his friend meant by “winging it,” but he imagined that whatever it was the bigger SWAT Kat had in mind involved electrocuting the crud out of Viper’s final monster, so he was all for it, nodding and giving his partner a thumbs-up. T-Bone banked right and flew down a side street towards the substation. It was a mid-sized, nearly featureless building surrounded by huge metal transformer towers. A sign on the front read “Megakat Power Sub-Station: Restricted!” Low-hanging powerlines snaked out from the station to feed the hungry buildings of Megakat City, gradually rising in height as taller and taller towers carried them towards their destinations. Deftly avoiding the powerlines, T-Bone swooped under them, up and around in a wide turn as the bacteria monster emerged from between the buildings from the side street and headed towards the power station. As though suspecting something, it paused, and for a brief instant as he made his turn, T-Bone was afraid his plan wasn’t going to work… but then the grinning purple behemoth continued forward. Moving cars on a metal bridge passing over the area a few blocks ahead had apparently caught its eye, and it forgot all about the Turbokat. Completing his turn, T-Bone flew down towards the monster as it lumbered underneath the powerlines. Now, suddenly, as the red and black jet returned to its field of vision, it remembered Dr. Viper’s orders: destroy the SWAT Kats. And so, the last of the bacteria monsters forgot about the yummy-looking cars on the bridge and plodded forward dumbly with outstretched arms, intent on catching and swallowing the Turbokat. “I sure hope you know what you’re doing!” said Razor. To him, it seemed like his partner intended to fly directly into the thing’s huge, grinning maw. He had a bizarre mental image of flying inside its body to fight its brain. Now Razor understood what T-Bone had meant by winging it. He understood even before T-Bone flipped the Turbokat around to fly sideways, one wing aimed down at the street, the other pointing towards the sky. He couldn’t help himself and laughed as he finally got the joke, T-Bone skillfully piloting the jet under the powerlines mere inches from the monster’s body right as it was passing underneath them. The upturned wing hit and cut the wires, which fell right onto the bacteria monster. Thousands, maybe millions of volts, all intended to power the surrounding area of the city, coursed through the monster’s body. It convulsed, its eye rolling up and back in its head. Unlike its brothers, it continued smiling throughout its gruesome electrocution. It was unnerving to watch the thing die with that stupid smile on its face, and the SWAT Kats couldn’t help shuddering a little. The monster’s body turned from a soft, slimy purple to a crusty, burnt brownish gray, and it hardened into a dried up husk, formerly yellow eye white, shrivelled and blank, sparks still flying from the downed lines as the monster just stood there, mouth open in a silent, smiling scream of pain. 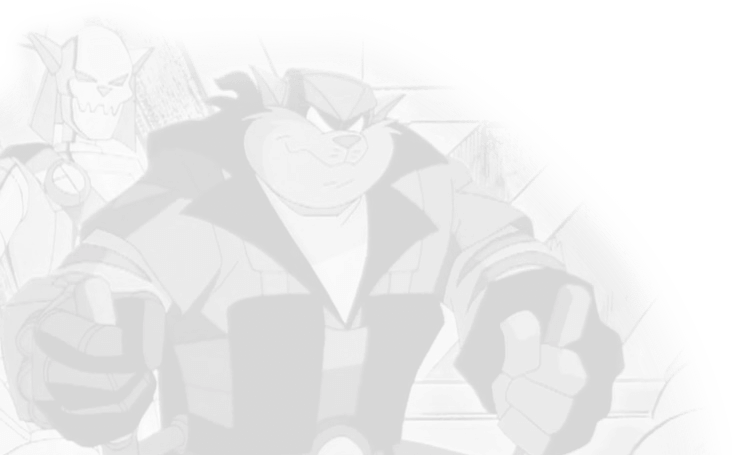 The last vestige of Morbulus was gone, although the SWAT Kats couldn’t know this and never would. After a moment, the husk started to crack and crumble away, first in little chunks, and finally in enormous blobs, collapsing into a dusty pile in the middle of the street. “That was great, T-Bone!” cried Razor. Viper snickered evilly as he held his armfuls of Katalyst 99. Callie and Dr. Zyme still struggled in the grip of his tail. By now, he reasoned, his creation had killed the SWAT Kats. After that, he didn’t care where it went or what it did, as long as it kept everyone busy long enough for him to escape with his prisoners. Suddenly, the lights went out. That was odd. Oh, well, he thought. No matter. He glanced over his shoulder as the Deputy Mayor and his former employer continued their useless wiggling. His thoughts were interrupted by the familiar roar of jet engines growing steadily louder and louder. He turned to look out the remaining, unbroken window of the room. “Aahhhhh!! !” he screamed, struggling to think of something, anything, to do to avert the utter disaster he saw unfolding before him. There was no time. Two Octopus Missiles smashed through the armored glass, knocking the mutated scientist back. Although he managed to keep hold of his load of katalysts, the impact caused him to drop his two hostages, who were dropped harmlessly aside, rolling across the floor. Still clutching his armful of canisters, the evil biochemist flew across the room and smacked into the wall, the missiles punching through into the next room. There were muffled explosions from next door. Viper slid to the floor, the canisters finally falling from his grip and rolling every which way. Stunned, Viper couldn’t even entertain the idea of going after them before part of the lab roof caved in, burying him under debris. Putting the Turbokat into VTOL mode, T-Bone flew in and landed. His calculations regarding the size of Megakat Biochemical’s huge main laboratory had been correct. It was easily large enough to contain the jet. Popping the canopy, he leaped out and walked over to where Callie and Zyme were, having remained where they’d fallen. They both sat up. He checked Zyme first. The biochemist was shaken up pretty badly but otherwise unhurt. Then he turned to Callie, kneeling down beside her and placing a hand on her shoulder. Her hair was a little frazzled and her glasses were crooked, but, like Zyme, she seemed otherwise fine. “Are you okay, Ms. Briggs?” he asked gently. “Yeah, I’ll live,” she replied. She was cut off as Dr. Viper popped up from under the debris a few feet away. He looked quite ticked off, his lab coat torn and shredded, hair frazzled and askew. His eyes glowed. “Curssse you, you meddling SWAT Katsss!” he shrieked hoarsely in impotent rage. Getting out of the jet, Razor hopped down. T-Bone rose and the two stood side by side, readying their Glovatrixes. “Party’s over, Viper,” Razor said angrily. Laughing insanely now, Viper hurled the shaken canisters at the floor between himself and the SWAT Kats, where they exploded! Fire erupted wherever the fizzing orange liquid landed. A blaze quickly engulfed the lab, the flames moving towards some shelves of chemicals nearby. T-Bone seemed intent on braving the fire to apprehend Viper, who was rushing towards the door with what looked like two or three canisters of Katalyst 99 in his hand; it was difficult to tell in the fire and smoke. Razor grabbed his arm, stopping him. T-Bone conceded. He was angry at not being able to get Viper, but getting themselves and Callie to safety was more important. He grabbed Callie’s wrist, and the two hopped into the cockpit. There wasn’t even time to buckle in as Callie settled into T-Bone’s lap. Razor got in next. “Come on, Doc!” Razor said, offering a hand down to Zyme, which the biochemist grabbed without hesitation. He grunted, pulling the scientist into the jet. Like Callie, Zyme was forced to sit in Razor’s lap, but Razor didn’t mind. He didn’t get the damsel like his partner did, but at least they were getting the heck out of there! The canopy slid shut over the four’s heads, and T-Bone turned the jet around so the nose was pointing out the broken window they’d flown in through, the engines aimed towards the back wall of the room, the one Viper and the Octopus Missiles had slammed into. “Everybody hang on!” T-Bone yelled and punched it. The Turbokat’s engines ignited right when the shelves of chemicals did. The flames hit the barrels, and they went up in huge gouts of flame that tore through the ceiling even as the Turbokat’s engines obliterated the entire back wall. The entire front of the building exploded, raining glass and debris down onto the street and the ruined artillery cannons while Feral and Mayor Manx looked on from beside the crashed Enforcer chopper. The Turbokat roared triumphantly through the flames, a bit singed but otherwise unharmed, and flew down the street before landing. Leaving Manx by the chopper, Feral ran over, relieved to see Deputy Mayor Briggs and Dr. Zyme both alive and well, each in the lap of a SWAT Kat. And, much as he hated to admit it, he was glad the two vigilantes were alive, as well. After all, he wanted them jailed, not killed. The canopy opened, and the SWAT Kats got out, helping Callie and Zyme down. “Viper, huh?” said Feral. That figured. “Makes sense that he’d be behind something like this.” He itched to cuff that slippery freak of nature. “Where is he?” he demanded. “When you find a better way to deep-fry a hundred tons of purple glop, Feral, you let us know,” said T-Bone. Feral grit his teeth angrily and considered drawing his laser pistol as the cockpit canopy slid closed again. He could fire a warning shot in order to persuade them to surrender. But, he banished this ludicrous notion from his head. His pistol never left the shoulder holster under his greatcoat. He hated the SWAT Kats, but they had saved the Deputy Mayor and Dr. Zyme and stopped Viper and killed his monsters. He supposed he could let them go this time. There’d be another chance to bring them to justice. “Y’know, I think it’s gonna turn out to be a beautiful day, eh, Razor?” T-Bone said, content. After the disaster that had been the previous day, this morning’s more successful outing had put him in a good mood. Another building had been destroyed, but at least this time it hadn’t been their fault.